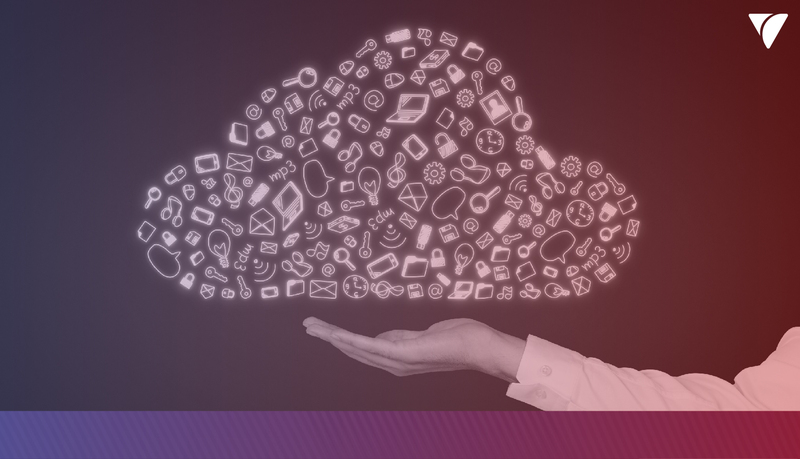 The “cloud” is the future (and present) of online storage and software applications. There are different types of cloud computing based on your storage service needs. The two main types of cloud storage to consider are public and personal clouds. For most businesses, a personal cloud holds more advantages in security, control, performance, and legal compliance. You “own” your cloud storage, which allows you to set the parameters for privacy and customization. Let’s explore the key benefits of a personal cloud system over a public cloud and how they will impact your business. What’s the difference between public and personal clouds? A public cloud is an open use system run by a third-party provider. All resources are available and accessible to the public over the internet. This includes systems like Dropbox, Google Drive, SalesForce, Microsoft 365, and Amazon’s Elastic Compute Cloud. A private cloud is an exclusive system run by a third-party provider or single organization. It’s made for a specific business or organization and it is not accessible to the public. For example, banks and healthcare organizations usually have personal clouds to protect the information of their clients. Private/personal cloud: “The cloud infrastructure is provisioned exclusive use by a single organization comprising multiple consumers (e.g. business units). It may be owned, managed, and operated by the organization, a third party, or some combination of them, and it may exist on or off premises. Why is a personal cloud the right option? What are the benefits of a personal cloud over a public cloud? When you use a private cloud, you run your own hardware, software, and applications. You have control over the underlying hardware and how it performs. Since your business is also the only one using the system, you don’t have to worry about other users slowing it down. On a public cloud, you don’t have control of the underlying software. This can make it more unpredictable, especially if you have a lot of users at once. You can get impacted by the “noisy neighbor” effect, which is when other users on your host machine impact your performance. Overall you have much stronger day-to-day performance on a clean, untouched private cloud than a crowded public cloud. Note: To improve performance, some private cloud providers also offer “cloud bursting” or hybrid clouds. If there is a significant spike in demand that your private servers can’t handle, they’ll move non-sensitive data to a shared public cloud to free up private cloud space for the secure files. This improves performance while maintaining high levels of security. You have complete control over your system. You can configure the hardware to determine the restrictions and limits on everything, from privacy to storage limits and beyond. Whatever your business’ needs, you can customize a private cloud infrastructure to suit you. You can even add logos and branding features to make it part of your business culture. This level of customization isn’t possible with a public cloud. The hardware isn’t under your control, and you often aren’t even given the hardware specs or details. The provider maintains all control, and it’s hard to customize a shared system. In today’s digital hacking age security is a huge deal. This security is especially important for businesses with highly sensitive information, like banks, insurance companies, and healthcare systems. Not having complete control over the system could cost your clients privacy, which could land you in serious legal and financial trouble. With a private cloud, you have complete control over the system. This means you can configure the security and privacy protocols to best fit your security needs. A private cloud also means your infrastructure is separate from others with your own hardware and software. This means it’s much less likely to get hacked or end up under attack at all. With a public system, you can maintain security settings, but ultimately the cloud is shared. This means others are using the same chain and infrastructure as you. If hackers can get into one account, they can often get into multiple. This gives you less security and peace of mind when it comes to your storage. Private clouds are the only way to truly protect information for those businesses that need high-level security. There are plenty of laws regarding client safety and privacy. You have to be compliant in how you store personal data, especially with regards to patient healthcare information. Some rules regarding storage of data include hosting data in a given country, protecting data that’s passed on, and generating ongoing compliance reports. It’s much easier to maintain legal compliance with a private cloud than a public one. You can work with IT specialists to set up an environment that can prevent hackers and meet all government requirements. If the internet were to fail for whatever reason, you would still be able to access the private cloud. The personal cloud is local within your organization, which means you can recover files even in the event of a blackout. With a public cloud, though, all information is stored elsewhere on a distance hard drive. Without an internet connection, that information is inaccessible. If something in the office were to suddenly crash, you’d want your files on hand with a private cloud rather than held in a centralized location with public storage. You know exactly where your info is stored. This convenience in location addresses some of the worries about not being able to access your information in a remote location through a public cloud. Although a private cloud often has a greater upfront investment, it ends up saving money in the long run. The organization pays for the hardware to get the cloud up and running, but then the monthly costs can become more consistent and predictable. Once you own the system, you have more control over the pricing and budgeting. If you need to scale up you can buy the hardware and software to scale in tandem. This is another cost, but it gives you control over your own assets and data. A private cloud is a viable solution for organizations that want security and privacy, especially in order to meet compliance demands. It’s also the right solution for any company that wants control over its own system, particularly in times of crisis. Private cloud systems are the best way to protect your business’s information. Your personal cloud will have faster and cleaner performance, more customization options, greater control, enhanced security, compliant data storage, strong accessibility, and budgeted pricing. Not sure what kind of cloud is right for your business? Contact us for a free consultation about tech integrations and implementations with your organization.